I’ve been preparing for STEAM on the weekend of the 5th and 6th October, but I’ve managed to squeeze in some time to put out another review… and little did I know just how little time was required (although photo editing is always a five letter word). This is SilentMode once again with another review, and I have to warn you folks there will be no histrionics, excitement or jokes along the way. This review’s going to be extremely short! 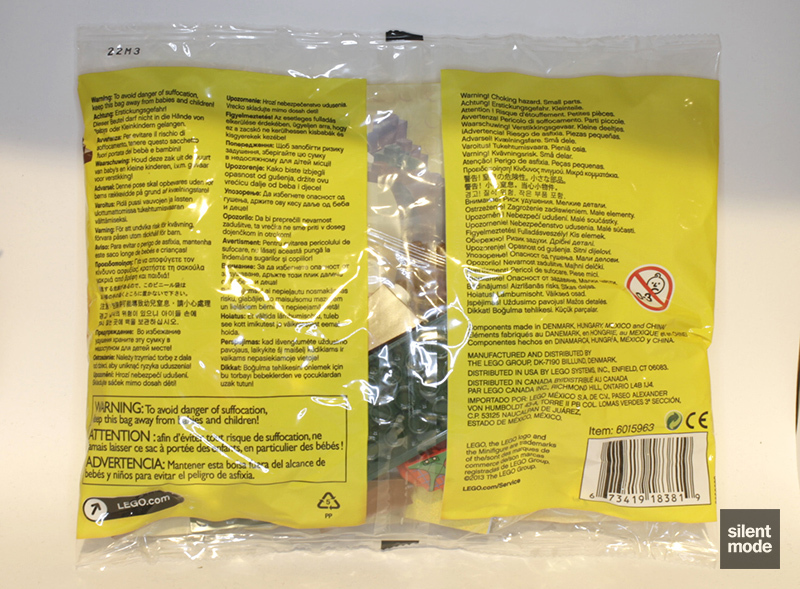 As with the Springtime Scene (40052) and Summer Scene (40054) sets, Fall Scene is a nondescript polybag. From the immediate looks of things, LEGO has been incredibly generous by giving us not just one but three minifigures, as well as a wheelbarrow. Turn the bag around and get a severe talking to in 728 different languages. Twice, if you’re unlucky. So what is in this polybag of goodies? These parts immediately grab our attention as the largest parts in the bag. Most of the smaller pieces are sealed in a small plastic bag, while we have six Reddish Brown arches and inverted slopes at our disposal… and two very nice looking 4×8 plates in Dark Green. The remainder of parts are shown above, which are all potentially useful parts. Fans of the “tooth” plates (which are characterised in LEGO Digital Designer as windscreens) will enjoy the fact there are 14 of them in Dark Green, five in Dark Red and just three in Bright Light Orange, while anyone interested in mosaics and detail work will like the presence of Orange 1×1 plates. 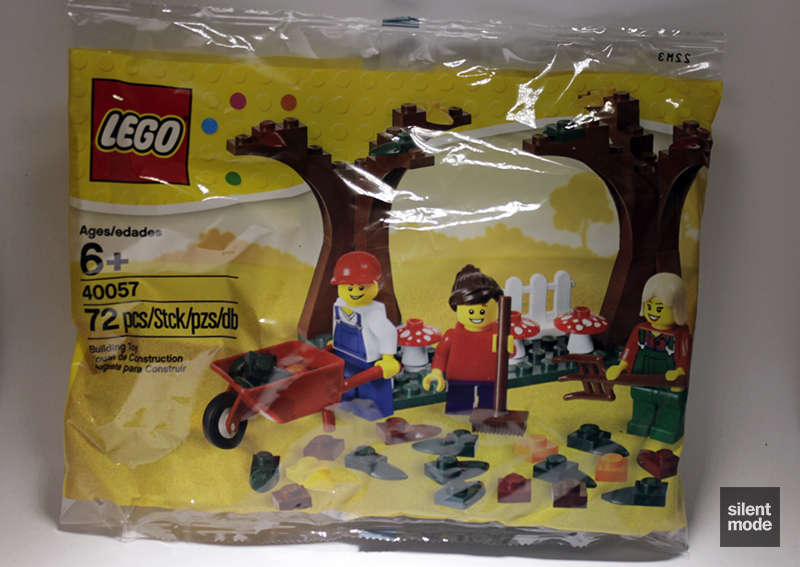 The set also contains three toadstool caps, which makes this polybag probably the best place to obtain them from – and probably the least expensive way to get hold of the relatively new wheelbarrow and pitchfork. The instructions come neatly folded in a small rectangle. 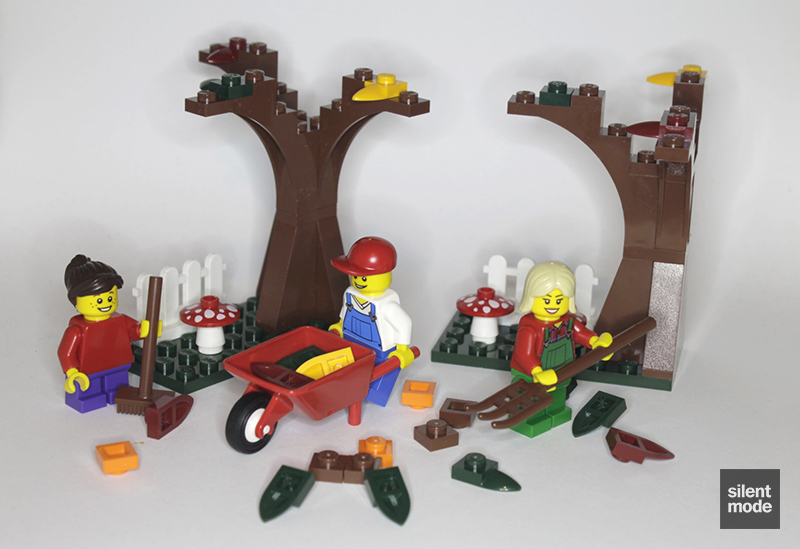 As mentioned before, Fall Scene comes with three minifigures… or rather two and a half! One not only has short legs but comes with a plain torso too. The male figure is fresh out of the terrible business card holder set (which was also terribly reviewed, I admit) and is probably the least appealing of the three. The adult female is redeemed by having the same pretty female head made famous by the Winter Village Post Office‘s femme fatale, but even then could be easily built from a LEGO store’s Build-A-Mini section. A similar story could be true for the little girl, although she has a much less common freckled face. The little girl’s torso really is plain, while the adults have back printing. So the jolly extended Fuchsia family set off to gather all the fallen leaves, but let’s help them along by seeing what they have to contend with. As with most of the other trees we’ve built in past reviews, this one starts with a base of Reddish Brown slopes to form the trunk. Branches are then predictably added by using the arch pieces, held in place with a corner plate. Now here’s the thing: you have to do the same thing twice. Two identical-looking trees, using the same parts. Yes. 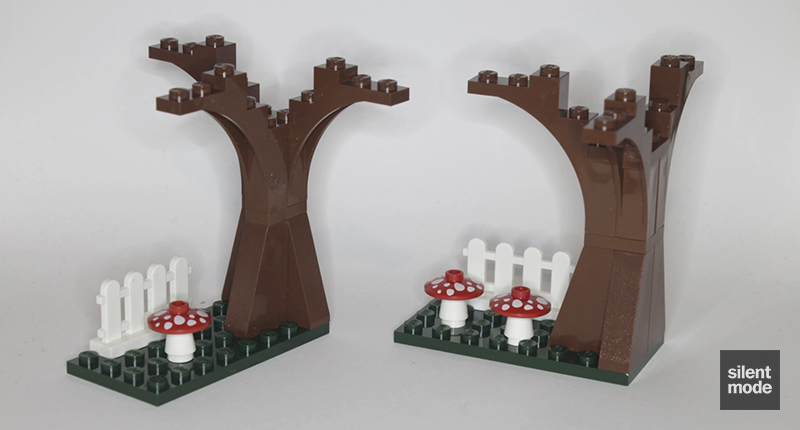 Well I suppose there is one difference: one tree gets two toadstools, while the other is left with just one. And they’re positioned slightly differently. Quick, right? Well after adding a few “tooth” plates to the tree as leaves, and scattering a few of the smaller parts around, there’s really nothing left to do. 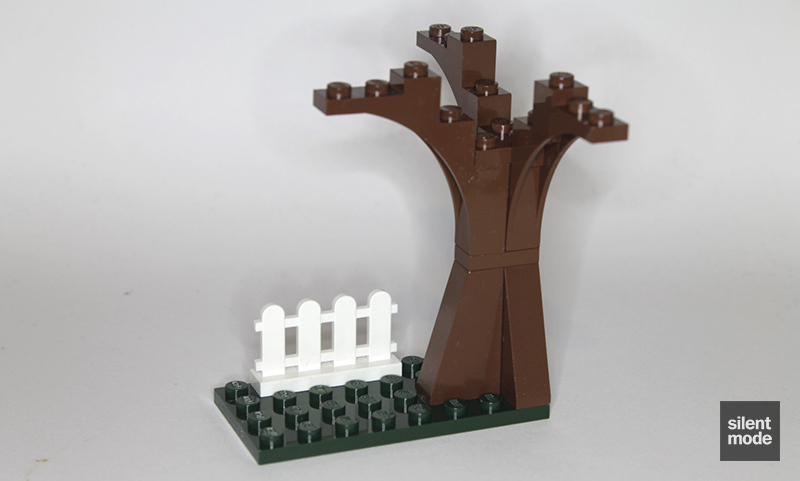 You’ve just built your very own autumn/fall scene with minimal effort! Assuming you’ve followed the instructions down to the letter, these can be considered spare parts. The set was obviously designed for a quick and [very] easy build. Three minifigures - particularly the ones we've gotten - were unnecessary, I would have preferred two figures and another play feature, such as a bin. The way the trees were constructed was clever, and the set was very quick to build - but something wasn't quite right. Perhaps it was only really building the trees, and not having much else to do, that was the issue. 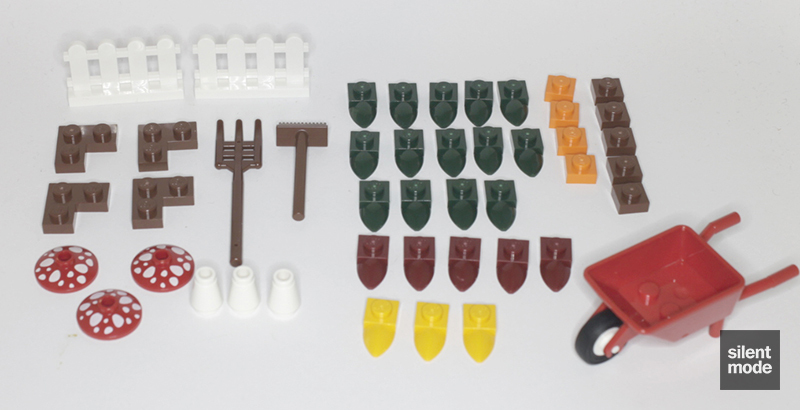 If you're after multiples of what this polybag has to offer, this makes a very good parts pack - particularly as getting hold of them should be relatively easy. 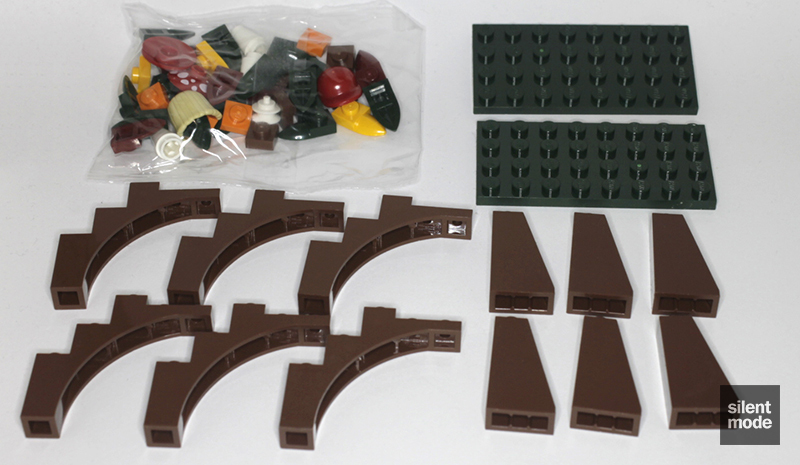 The wheelbarrow provides some playability, but this polybag belongs as part of a larger setup - whether paired with the previous seasonal polybags or as part of a larger City-themed diorama. Having built the set I wouldn't pay RRP for it again - but there's no shame in doing so if you want the parts. I’m giving Fall Scene 5.8/10, being a bit of a letdown from Springtime Scene, but reasonably good as a parts pack. Do you agree or disagree? Was this as lazy a review as I’m imagining? Let me know what you think.